Want to learn how to cook for sick people? Then follow us on Facebook! 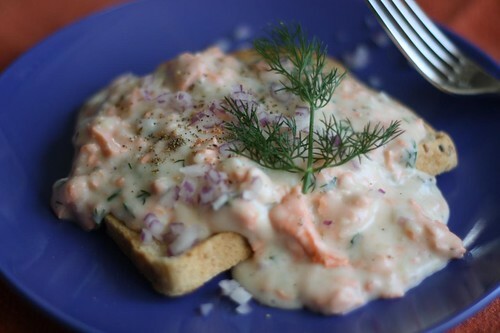 One of Jen's favorite foods to eat whilst sick is creamed salmon on toast. Generally this is made with canned salmon but, oddly, I was unable to find any canned salmon at our local store. I tried to recreate the dish using some pretty expensive wild salmon. It wasn't quite the same. It was better but I'm not sure that that's a good thing in this case. I made a roux with some butter and flour then I whisked in some milk, tossed in the skinned salmon, then seasoned it with salt, pepper, a dash of hot sauce, and fresh dill. I served it on some toasted rye bread with more fresh dill and diced red onion. It was pretty good but Jen couldn't taste it at all. Jen's inability to taste anything at all gave me quite a challenge for dinner. I decided that I would make as flavorful a meal as possible so I could try to break through her anosmia. 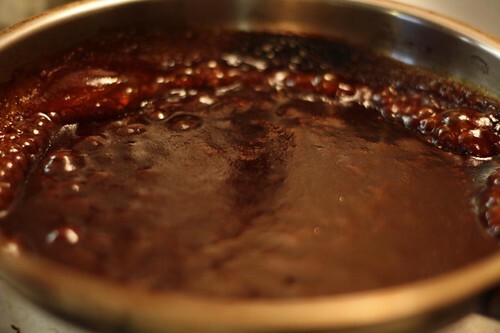 While the grill was firing up I made a Worchestershire glaze using Worchestershire sauce, water, corn syrup, and ketchup and reducing it down on a low flame. The smell in the kitchen was enough to make my eyes nearly bleed. Then I made some boiled potatoes which I mashed together with a small amount of butter, black pepper, and a large amount of extremely pungent blue cheese. After grilling some asparagus I tossed them with lemon juice and zest. The result: Jen couldn't taste it at all. 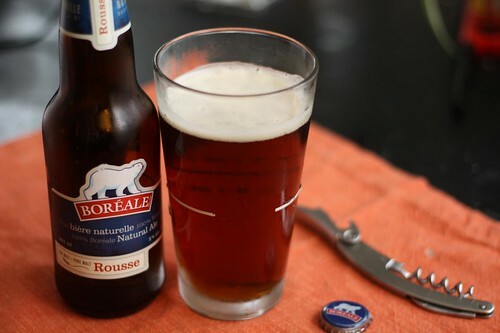 To drown my sorrows at the horrible failure of my plan I had a Rousse by Boréale, yet another beer we'd brought home with us from Montreal. I was expecting this to be a red ale but, as you can see, it is surely not. Apparently Rousse is an adjective meaning red but also describes a type of bitter made in Quebec. MMMMM, creamed salmon on toast. 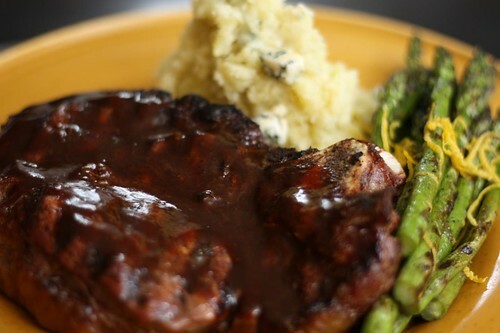 When I was young, and catholic, and meat was forbidden on Fridays, my mom would make such a meal for supper with one variation. Creamed salmon on mashed potatoes. Looking at your photo brought back this memory which in turn brought back all the different meals my mom would make on meatless Fridays.